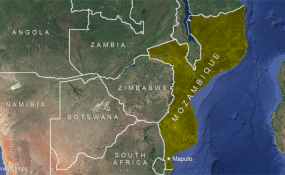 In the past two weeks, Mozambique has witnessed at least three brutal attacks by armed militants that police have linked to an Islamic group in the northern part of the country. This alarming rise of terror attacks has caught experts and policy analysts by surprise. Mozambique experienced its first jihadi terror attack in October 2017, when militants attacked a police station and a military post in the coastal town of Mocimboa da Praia, killing two policemen. Former U.S. Assistant Secretary of State for African Affairs Johnnie Carson says he was also a bit surprised by the emergence of violent Islamist groups in Mozambique, but added that extremist ideology had been spreading along the East African coast. “I guess I shouldn’t be too surprised that it seems to be creeping a little bit down the coast,” he said. In the latest attacks blamed on the group known as Mozambique al-Shabab by the government, militants, armed with knives and machetes killed five people in the Quissanga district of Cabo Delgado on the night of June 6. A day earlier, seven people were hacked to death in Macomia district, while more than a 100 houses were torched. On May 27, 10 people, including children, were decapitated after they were allegedly abducted from the villages of Monjane and Ulumbi, near the coastal town of Palma, also in Cabo Delgado. Mozambique’s coastal province of Cabo Delgado, which borders Tanzania, will soon become the country’s natural gas hub, after the discovery of vast offshore gas deposits. The country has started developing the infrastructure needed for extraction. But according to some experts, people in the area feel they are being left out of this economic boom while the little they have in the form of land is being taken away without adequate compensation. Carson, a U.S. Institute of Peace senior advisor, says it’s this feeling of marginalization that’s driving the insurgency in northern Mozambique. “I think that these new developments are helping to fuel the insurgency. These gas deposits have brought with it ... the thought of greater economic prosperity. But that prosperity is not largely seen by local people,” he said. Vines says failure to manage these local expectations is helping fuel the insurgency. Government figures indicate about 18 percent of Mozambique’s nearly 30 million people are Muslims. The vast majority of the Muslims follow the Sufi creed, which is a relatively tolerant form of Islam, but appears to have changed somewhat. “It’s been a pretty tolerant place to be honest, but since 2015, research coming out of Cabo Delgado suggest that radicalization happened quite quickly,” said Vines. Williams says this radical form of Islam, may have come into Mozambique from the north. “… Considering how Tanzania has its own share of radical preachers and groups, it is not hard to imagine the ideology could have crossed the border into Mozambique at some point,” she said. Vines says the surge in terrorist attacks in Mozambique is still a local issue that should be carefully handled before it becomes internationalized. “My sense of this is that it’s still about local issues. There’s still time to work against internationalizing this,” said Vines.